The cycling bib shorts produced by Betrue Sporting Goods is widely used.Betrue Sporting Goods provides comprehensive and reasonable solutions based on customer's specific situations and needs.Betrue Sporting Goods advocates a natural, energetic and healthy philosophy of life. Focusing on originality and individuality, we design and produce oem sportswear of simple style, stylish personality, and natural comfort. They are suitable for a variety of occasions. Their collocation and plasticity can maximize the self-style and promote you to experience the free concept of dress. 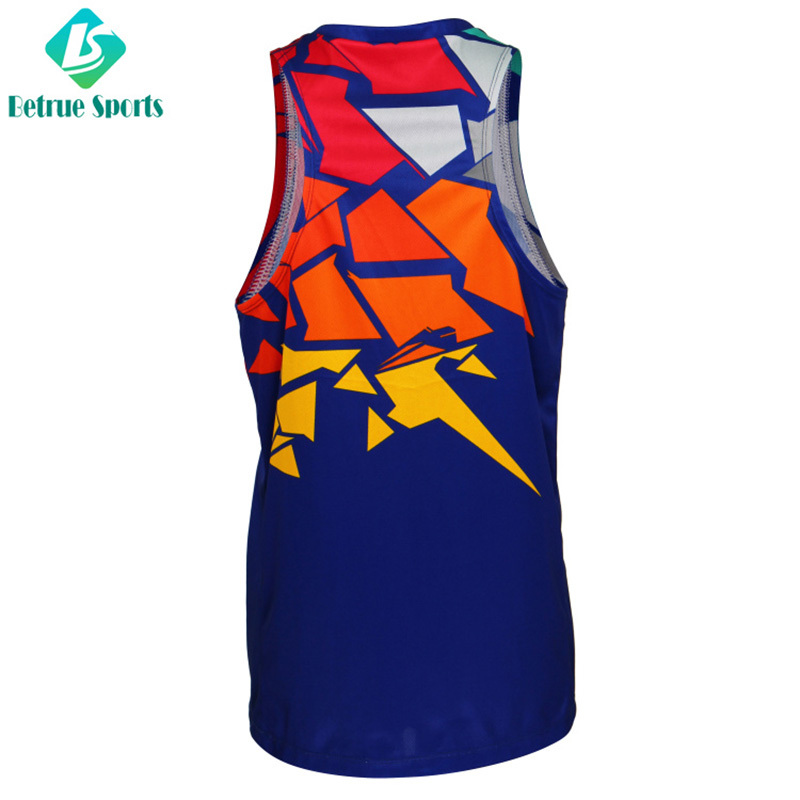 Betrue Sporting Goods's cycling bib shorts is commonly praised in the market due to good materials, fine workmanship, reliable quality, and favorable price.Our brand always adheres to the aesthetic concept of 'contemporary, texture, playfulness and elegance'. With high-quality fabrics and unique tailoring techniques, creative combination, and high compatibility for multiple occasions, our brand provides consumers with a new perspective on life and wearing enjoyment.Compared with products in the same category, cycling bib shorts has the following advantages. ◪ Man Running Wear Custom Cycling Single Made of the Italian breathable mesh: 100% polyester , 150g TUP 50+. 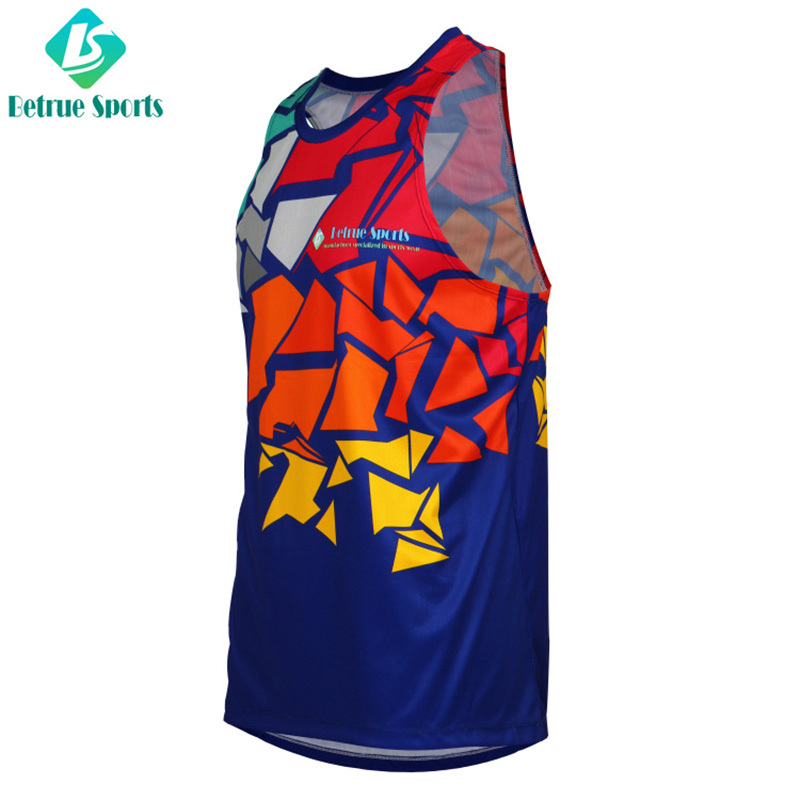 Customized sublimation design and Anti-pilling for the shirt with sleeveless. Sweat discharge , quickly dry and comfortable template stylish is fit for man. Full concealed zipper way and Triple pockets. 1. Guangzhou Betrue Sporting Goods Co.,Ltd. is a professional manufacturer of running clothes research and development innovation. 2. Guangzhou Betrue Sporting Goods Co.,Ltd. has obtained many patents for running wear and meets all international standards. 3. Strict management, tight production, good quality is Guangzhou Betrue Sporting Goods Co.,Ltd. 's strategic guidelines. Call!